Lincoln is one of the many cities in California known for its picturesque weather throughout the entire year. This climate creates a wonderful opportunity for motorcyclists everywhere. Whether motorcycles are your preferred commuting method or if they are simply a fun pastime, riding down the streets of Lincoln is meant to be an enjoyable experience. On the other hand, anyone who has experience riding a motorcycle understands that there are inherent risks involved. Because of the size of motorcycles, it’s not uncommon for drivers of cars and trucks to miss seeing a motorcycle. 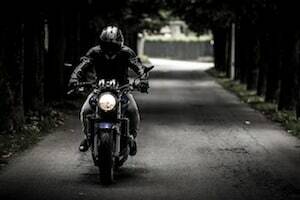 In addition, the lack of protection between the rider and the pavement increases the chance of suffering broken bones, head and brain injuries, or even death. Because of this, everyone riding a motorcycle should make sure to wear a helmet while riding down the road. The rates of motorcycles accidents across the country, including in Lincoln, are higher than they should be. While some accidents are unavoidable, many collisions involving motorcycles are preventable and result in unnecessary injury to the parties involved. Design Defects: It is possible that the motorcycle may have an intrinsic flaw in its design. Many times, there might be a recall issued for that specific model of motorcycle. Problems with the manufacturing of the motorcycle could impact any part of the vehicle, ranging from the brakes to the engine and everything in between. This can impact the way the motorcycle drives on the road, stops short of obstacles, and responds to driver commands. These design defects could lead to otherwise avoidable accidents that can damage the rider, passengers, and other people involved. Roadway Issues: Motorcycles are smaller than cars and this makes them more susceptible to forces on the road. This includes potholes, obstacles, and curves. For example, if a pothole in the road goes unrepaired, a motorcycle could go over the pothole at high speed. This could impact the wheel, damage the tire, and bend the rim. This impact could also knock the rider off-balance, leading to a wreck involving traumatic injuries. Negligent Drivers: Other drivers on the road could be engaging in distracted or negligent driving. This could involve texting while driving, driving under the influence of drugs or alcohol, or driving while fatigued. All of these factors could cause the driver of another vehicle to miss the presence of a motorcycle on the road. Ultimately, all of these factors increase the chance that a motorcycle accident develops, potentially leading to injuries. Road Rash: This is the colloquial term given to the removal of skin from the body of a motorcycle rider or passenger. As someone skids across the pavement, their skin gets caught on the road and could slough off of their body. When this happens, major blood loss and opportunistic infections can occur. Bone Fractures: It’s not unusual for motorcycle accidents to result in serious bone fractures, ranging from femur fractures to humerus fractures and even damage to internal organs. Depending on the location of the injury, a patient could wind up hospitalized or require surgery. Traumatic Brain Injuries: Everyone riding a motorcycle should always wear a helmet. If someone’s head strikes the pavement at high speed, this could result in a skull fracture, cerebral contusion, or even intracranial hemorrhaging. These are life-threatening traumatic brain injuries that merit emergent medical attention. Even with proper medical care, it is possible that these injuries could result in chronic comorbidities. Anyone who has been involved in a motorcycle accident should ensure that they receive prompt medical attention. This will maximize the potential of a positive outcome. If someone has been involved in a motorcycle accident, their family could face an uncertain financial future. The cost of hospitalizations involving surgical procedures is high. Even if a family has health insurance, their plan could have a large deductible. This alone can create financial stress. Furthermore, some plans have a limit on the number of benefits a policyholder can receive during their lifetime. If this is reached, the family could be forced to pay the remaining balance. For this reason, it is vital for everyone to understand the intricacies of their health insurance policy. Even after someone has been discharged from the hospital, they could require an extensive rehabilitation course. This is important because it can help to restore some of the lost motor and sensory functions after a serious accident. On the other hand, these rehab visits can be expensive and some health insurance plans will not cover all of them. Families who have been involved in a serious motorcycle accident may find it helpful to talk to an experienced legal professional. There are paths potentially available to them that could result in significant financial relief while restoring their quality of life. I’m Ed Smith, a Lincoln Motorcycle Accident Lawyer. Motorcycles are a popular mode of transportation that involves inherent risks. If you or a loved one has been injured in an accident involving a motorcycle, please call my office at 916.921.6400 for friendly, free advice. I have been inducted into the California Chapter of the Million Dollar Advocates Forum. This group of personal injury attorneys has been ranked among the top trial lawyers in the country. The attorneys who are featured in the forum have settled cases or obtained verdicts in excess of $1 Million US Dollars. Many of my verdicts and settlements can be seen here. My client reviews and ratings can be found on Avvo, Yelp, and Google.